Since I was 13 years old, tennis has been a huge part of my life and given me an enormous amount of pleasure when playing and competing. However, the real kick for me is when I watch and help people learn this fantastic sport. In my many years as a tennis coach I have been lucky enough to work with some great coaches and some very talented players. 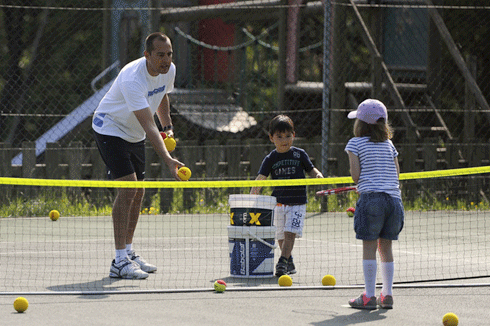 Having been head coach at 3 previous large tennis venues, my aim is to simply take my experiences and use them to help Bagshot Tennis Club become one of the best tennis coaching facilities in Surrey. With a few specific ingredients in mind, friendliness, professionalism, passion and fun, I formed Jet Tennis. It is very exciting to be based at Bagshot Tennis Club and I look forward to working with the club’s very supportive committee to help provide its members with a thriving facility. 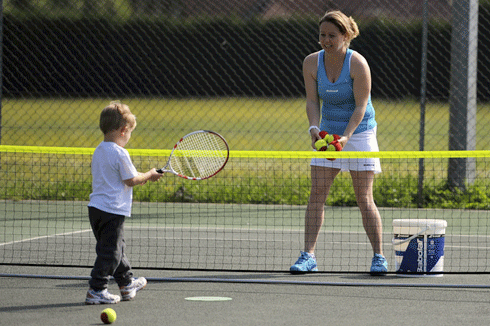 Jason is an LTA Level 5 PCA (Performance Coach Award) coach who has coached UK top 10 juniors. Having started playing tennis when I was 9 years old, I soon progressed to county, national and international level. Tennis took me all over the world, I was playing tennis full time from the age of 16 competing in $10,000, $25,000 and $50,000 events. One of my proudest moments was achieving a world ranking in both singles and doubles. For the past 11 years I have gained experience coaching at 2 large tennis venues, as time went on I found myself working with the clubs performance and first team players. I am very excited to now be based at Bagshot Tennis Club with Jason Jokhoo. I look forward to helping this club grow to its full potential and hopefully produce some stars for the future!